Cloud hosting has become an increasingly attractive infrastructure option for business in the digital age. Consuming software or infrastructure on the cloud seems like a straightforward task, but for many businesses, “the cloud” still yields several questions from IT and business leaders in terms of its benefits and risks. Demystifying how the cloud works, and more importantly how it can best be adapted to meet the needs of a customer’s business is just one of the many responsibilities a good managed hosting provider has toward both current and prospective clients. But what, beyond that, should you expect from your hosting provider? Dependability is the bare minimum to be expected of a hosting provider. Hand in hand with this is trustworthiness and the degree of comfort a client has with their hosting partner. If this is your first time working with a third-party hosting provider, getting comfortable and being able to trust in their services is key. To ensure that you are fostering a mutually respectful relationship, get to know your provider’s team. This should not only include the sales team with whom you have initial contact but also your day-to-day counterparts and the senior management in operations and support. Establishing a relationship with those you will work with on a daily basis not only helps build trust and a collaborative environment, but also illustrates your degree of importance to the host. If they cannot make an initial meeting with senior staff happen, you might just be another “number” as opposed to a customer that they want a long-term relationship with. A superior customer experience is a key difference between a mediocre hosting provider and a fantastic one that you’ll be pleased with. Your hosting provider should have a very reliable and responsive team to support you at any time. You should also have the confidence that your cloud solution will always be taken care of, and should there be any problem, that the service provider will be highly responsive. Meeting the support team helps you understand their customer experience philosophy and their approach to incident response and escalation. If they aren’t able to facilitate these introductions as part of your vetting process, consider it a red flag and exercise caution. The goal of any business is to grow over time and, as such, an effective hosting provider should be able to expand to fit the needs of your growing business. Being able to increase your computer resources when needed is crucial and doing so in an efficient, timely fashion will help your business save money and be more agile to market conditions in the long run. An effective host ensures that your applications are running at peak efficiency on systems that are up-to-par. If you find that your applications are lagging in general, consider asking your current provider to demonstrate performance testing capabilities. If the provider doesn’t have this depth, then it’s time to consider alternatives that go deeper than just keeping the server lights on. Your hosting provider should also be able to advise and act on changing trends in the technology world. This is important in your first venture with them, but also a good litmus test when it comes to renewing your services. For example, hybrid cloud computing is going to be the appropriate deployment method for many businesses with predictable applications. So your hosting provider should be thinking about if and when it makes sense to manage your solution on its own cloud in combination with public cloud to deliver agility and scale for your particular use case. Have these important conversations with your hosting provider to make sure you’re solution evolves appropriately when needed. Look for a provider with security at the forefront of their cloud delivery model. This will ensure you’ve got peace of mind when it comes to protecting your critical data. One of the major benefits of managed hosting services is decreasing the startup costs associated with managing physical infrastructure. Managed Cloud hosting eliminates the costly purchase of hardware, maintenance or upgrades, and eliminates the need for 24/7 staffing. Ideally, leveraging the services of a hosting provider allows you to redirect your resources (financial or people) toward projects that are more strategic to your business, however if you find that your resources are still stretched and your IT department is still devoting too much time towards infrastructure issues, your service provider may be in need of an overhaul. Make sure that they are meeting their obligations for the tasks that you expected they should cover. At a minimum, these are four facets that you should consider when employing a hosting provider or when switching to a new host. Keeping these aspects in mind will help you not only select a provider that meets your needs, but also help you build a long-term partnership with a provider who is a pleasure to work with and interested in helping you grow. 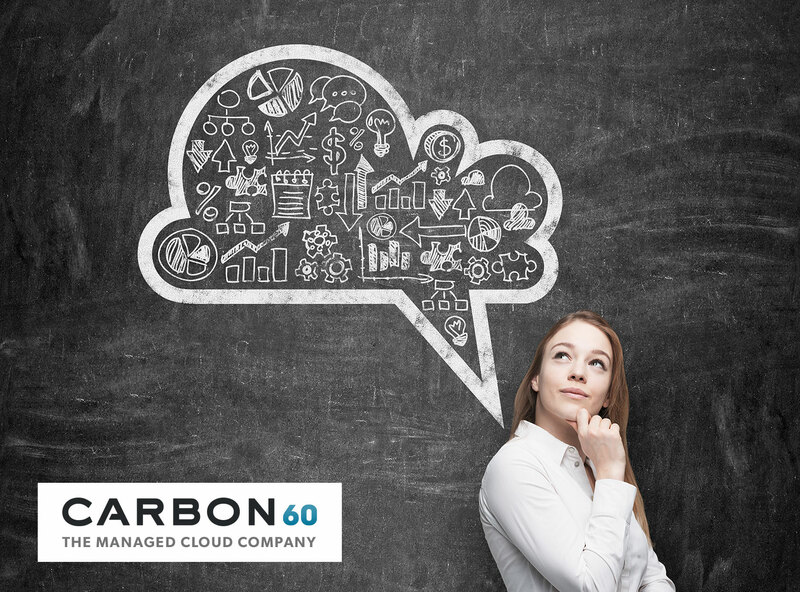 If you’re thinking about moving to a hosted model, contact the Carbon60 team to see if we’re the right fit for your organization. Contact Us Now.